Either I am completely on my diet, or I’m off my diet. Either I’m 100% successful, or I’m a failure, and may as well give up dieting. Since I didn’t lose weight this week, I’ll never be able to lose weight. Since I gave into that craving, I’ll never be able to tolerate cravings. I’ll be able to eat just a little bit of this food I crave, feel satisfied, and stop. It’s okay if I just estimate the amount of food I’m supposed to have instead of measuring it. I’ll still lose weight. Since I feel like a failure for having strayed, I really must be a failure. I feel like I just have to have something sweet right now. People will think I’m strange, if I don’t drink alcohol at the party. She’ll think I’m rude, if I don’t try the brownies she baked. If no one sees me eating, it doesn’t count. It won’t matter, if I give in to my cravings. I can’t inconvenience my family by cooking healthier meals, or getting junk food out of the house. I deserve to eat this, because I’m so stressed out. It’s okay to eat this, because it’s free. I can’t stand this craving. I love these food thinking mistakes, and found myself identifying with each one of the examples personally. It is easy to laugh at some of them, but most of us have used every one of them. 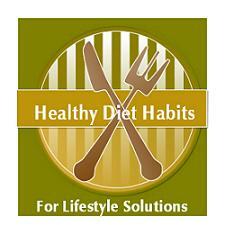 If you want to make lifestyle solutions, you will need to identify your sabotaging thoughts and thinking mistakes. In her book Judith Beck presents “The Seven Question Technique” to help find solutions to these food thinking mistakes. I've summarized these on my follow up page...Food Thinking Solutions. Check it out! You can purchase "The Beck Diet Solution", by Judith S. Beck below, directly from Amazon.com. It is one of my Top 10 Recommended Books to read along with her six week workbook and has wonderful information about food thinking mistakes and food thinking solutions!